July of 1347, the 46-year-old Korean Buddhist monk Puyu Taigu left the Daguan Temple in Dadu (today's Beijing), capital of the Yuan Dynasty(1271-1368). He trekked all the way to Xiawu Mountain in the northern Huzhou, Zhejiang province, for a visit to the 18th-generation Buddhist master of the Linji Sect. The master was Shiwu Qinggong (1272-1352). 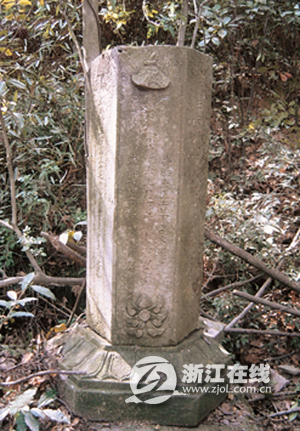 Taigu did an intensive study of Buddhism for 15 days under the direction of the master. 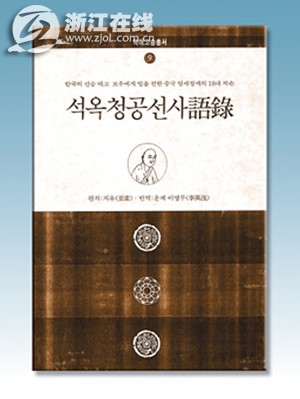 The Korean monk then went back home with a new insight into Buddhism. He also carried home a cassock and Buddhist cane from Shiwu Qinggong, important articles that served to prove his legitimate status as a disciple of Shiwu Qinggong. The Korean monk's visit turned a new page in the cultural dialogue between China and the Korean Peninsula. Puyu Taigu returned to his home country in 1348 and became the first master of the Linji Sect in Korea. Later about 60 disciples from the Korean sect pilgrimaged in three batches to Xiawu Mountain for a visit to their religious roots. Today, the 406-meter-high Xiawu Mountain is called Xiamu Mountain, about 25 kilometers northwest of downtown Huzhou. The local county annals compiled in the Ming Dynasty (1368-1644) registered why the mount changed to the new name: "A zigzagging path leads to the mount top. From there one can enjoy a panoramic view of the great Taihu Lake and adjacent peaks. Curtain-like clouds often appear there." Master Shiwu began studying Buddhism in his childhood. He became a monk in a Buddhist temple in Fujian Province. 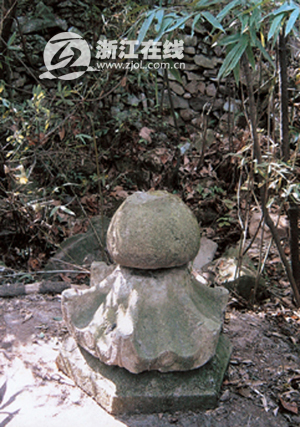 At about age 40, he came to Xiawu Mountain, where he built a cottage by a pond called Sky Lake on the mount top and it was named the Sky Lake Temple. He began to cultivate himself according to Buddhist doctrines. Nineteen years later his reputation as a Buddhist master spread far. He served as abbot in a nearby temple for 7 years. Later he went to stay in the Lingying Temple in Hangzhou for a while before he returned to the Sky Lake Temple. He was blessed with a gold-color cassock and often mixed himself with monks from Putuo, Wutai, Tiantai, and Wulin temples. When the Korean monk Puyu came to visit him, Shiwu was already 75. He chopped wood and grew vegetables in a garden to support himself as a monk. His disciples recorded his remarks and compiled a quotation book of 11,000 words. He also wrote poems of about 14,000 words which described his life in the mount. Puyu was regarded as Buddhist master in Korea. He died in 1383 at 82. Three pagodas were built in his memory. On them were inscriptions that the monk had inherited Buddhist teachings from Master Shiwu Qinggong, the 18th-generation master of the Linji Sect and that therefore Shiwu was the 19th-generation master. Today, the highest peak of the mountain is thickly covered by trees. In the place where the Sky Lake Temple used to stand, there are only a few broken steles. The stone house and the pagoda are nowhere to be seen today. 清乾隆四十九年所建灵塔之一 This memorial pagoda was built in 1784, the 49th year of Qianlong Emperor of the Qing Dynasty. 清乾隆四十九年所建灵塔之二 This memorial pagoda was also built in 1784, the 49th year of Qianlong Emperor of the Qing Dynasty.